I have a table with reporting period start date and end dates and I need to calculate the number of working days (excluding weekends) times a blended rate for labor costing. I also have a holiday date with dates that I would like to exclude from working days as well. I would be happy to share my table structure if that would help. You can share your data structure if you wish. Here is a great video from Sam if you have not viewed it before that will start you along this path. The video is excellent for this. Please also consider to use Power Query. Under “Transform” , “Date & Time Column” , you will find many options for duration, bear in mind the date table in the video shows 0=Sunday. I use 7=Sunday, if you do as well, you will have to amend this, making it easier to split workingdays by <=5. 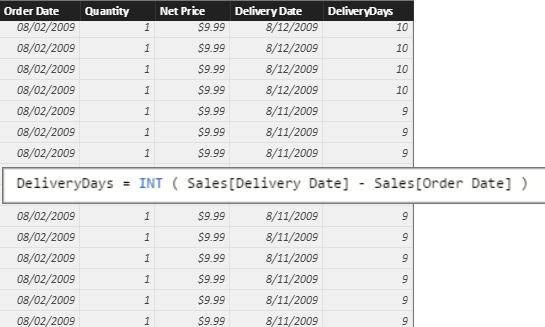 add a column in your date table “IsWorkingDays” with some logic to identify weekday/weekend/holiday. just picked this up from Alberto Ferrari.